When Revealed: The first player chooses a questing character. That character takes 3 damage and is removed from the quest. 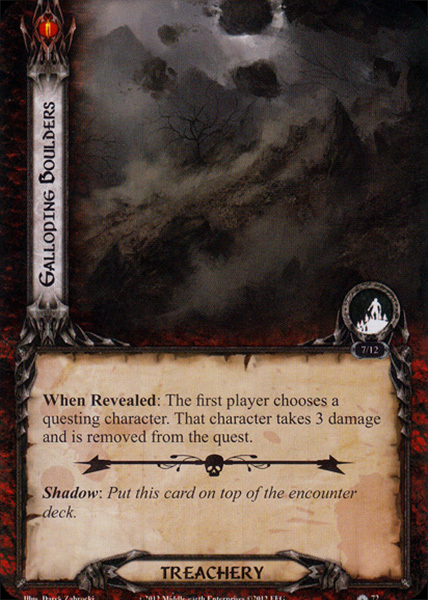 Shadow: Put this card on top of the encounter deck.